Despite the high flying form of the judicious display by the Reds. Jurgen Klopp has found himself in a position where he would need to start rotating more of his players as he did last season. Dominic Solanke was part of Klopp’s plan last season when he made him a substitute in virtually all the matches. It appears that the former Chelsea player has fallen far below his manager’s pecking order with no opportunity to come into the pitch this season. Klopp made effective changes in the team that saw them concede just one goal in four through a blunder. Showing how much quality and effective the players are competing with each other. It appears that Rangers rumoured transfer target Solanke’s England role will take a hit if he continues to be left on the sidelines at Liverpool. England’s Under-21 manager Aidy Boothroyd sent a warning to Klopp that he could eventually leave and it would be imminent if no drastic measure is taken. 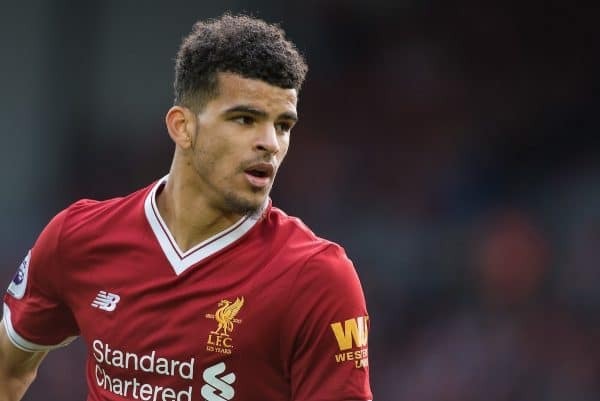 Solanke was tipped to unite with former Liverpool legend and current Rangers manager, Steven Gerald. Has Gerald had already known him in his time at Liverpool when Dominic was still playing in the youth. With Daniel Sturridge returning on loan from West Brom, and Divock Origi still battling hard to force his way into the substitute to challenge the current No.9 Roberto Firmino, it appears that there could be no room for the 20-year-old who made his England senior debut last November. He may be left with no choice than to leave next summer. Exclusive: Hope for Chelsea as Sarri could make a U-turn to sign Seria A player.